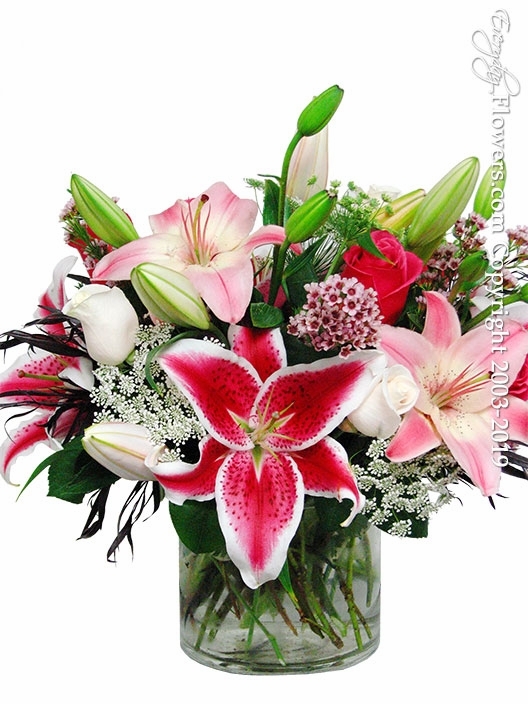 Some of our most popular flowers include roses and lilies. This arrangement focuses on both with a mixture of pink and white roses and a mixture of tiger lilies and stargazer lilies. Arranged in a cylinder glass vase with seasonal available accented flowers including queen annes lace, wax flower, and misty.